The new MPC - small and perfectly formed (and not much bigger than an A4 sheet of paper), this diminuitive MPC is not some compromised little runt of the litter as you might expect. On the contrary - the MPC1000 inherits many of the major features of its older, bigger siblings but in a compact form factor that makes it ideal for carrying around… to your friends, to a gig, to a session… wherever. And it’s a creditable alternative to computer based systems. As part of its lineage, the MPC1000 features the sixteen characteristic velocity and pressure sensitive pads that have been an established (and essential) component of the MPC series since its inception – arguably, they are the best pads on any drum machine past or present! 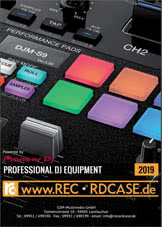 Established friendly and intuitive user interface of MPC series. Easy-to-use MIDI sequencer/drum sampler offering a great alternative to complex computer based products. Great-feeling, velocity and pressure sensitive pads for expressive programming. A 16 levels function giving you one sound on all pads with varied level, tuning, attack, decay or filter per pad. Two separate effects processors and one main out effect processor; all which can be used simultaneously. 4-pole filters (two 2-pole filters) filtering for each of the 32 voices. Two Q-Link sliders for realtime performance control. 2 x MIDI In and 2 x MIDI Out. 16Mb RAM standard, expandable to 128Mb . Internal preset sounds in flash. Save/load your sound and sequence data to/from Compact Flash. Portable laptop size – ideal for taking your act on the road. 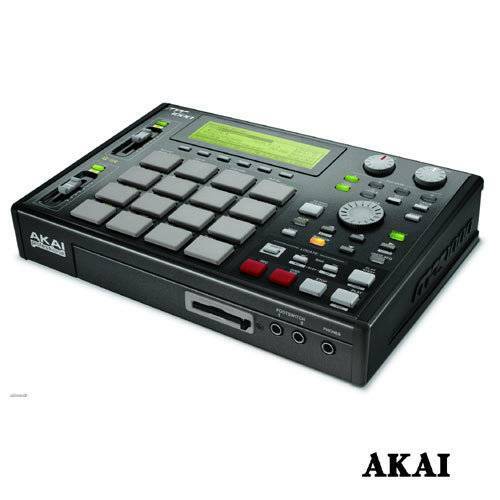 Be the first who writes a review for: "Akai MPC-1000"